Chartered in 1845 by the Republic of Texas, the University of Mary-Hardin Baylor is one of the oldest institutions of higher learning in Texas. 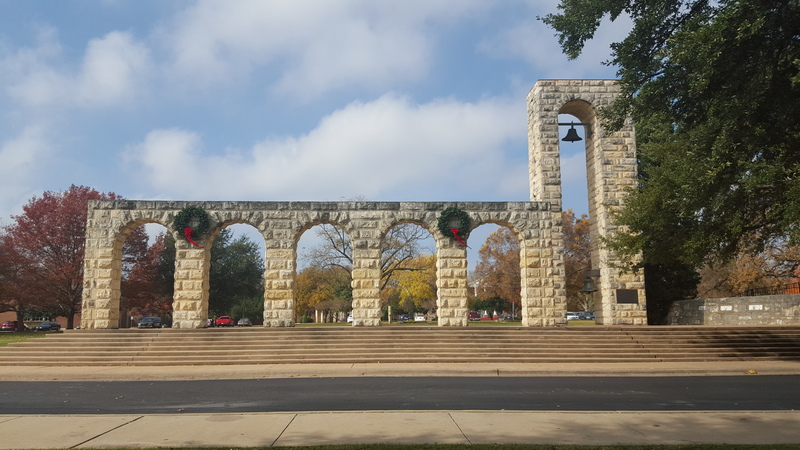 Pays tribute to the original building on UMHB’s campus. The memorial was constructed in 1955, from the stones of Luther Hall. It includes a bell tower with two historic bells. The Horton Bell, the lower bell in the tower, is from the University’s first location in Independence. The upper bell, the sophomore bell, can only be rung by sophomores as a traditional privilege reserved for them.